The air had a pink hue as the sun set in the west. 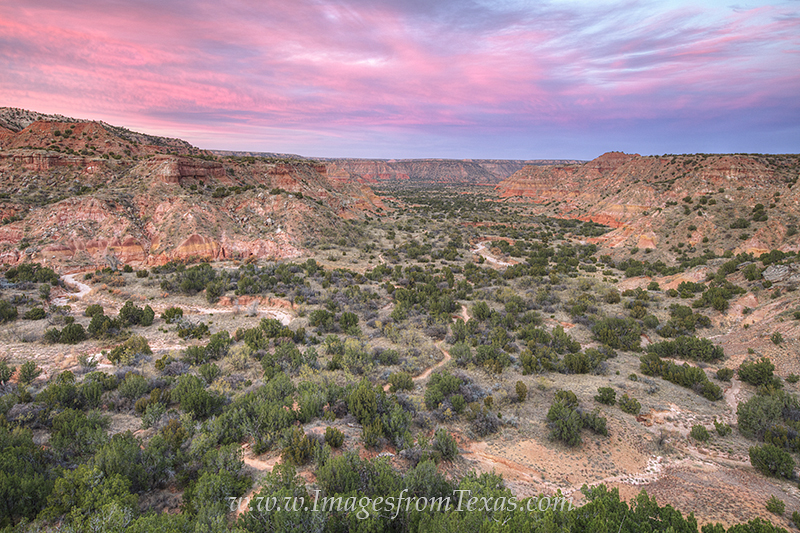 From the iconic Lighthouse rock formation in Palo Duro Canyon, this view came as the clouds turned pink and blue during the last light of evening. Photo © copyright by Rob Greebon.